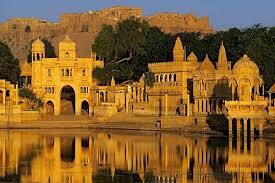 Mostly referred as the Sun City, Jodhpur is the second largest city of the desert state Rajasthan. All the houses in the city are painted in blue and due to this it is named as the Blue City. 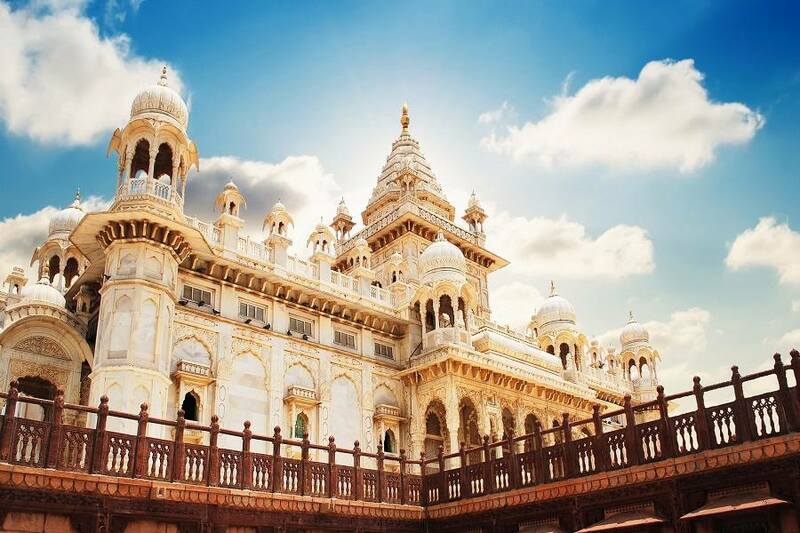 Apart from this special attraction this is a fascinating destination of Rajasthan which reveals the art and architecture of Rajputs in a much different way. 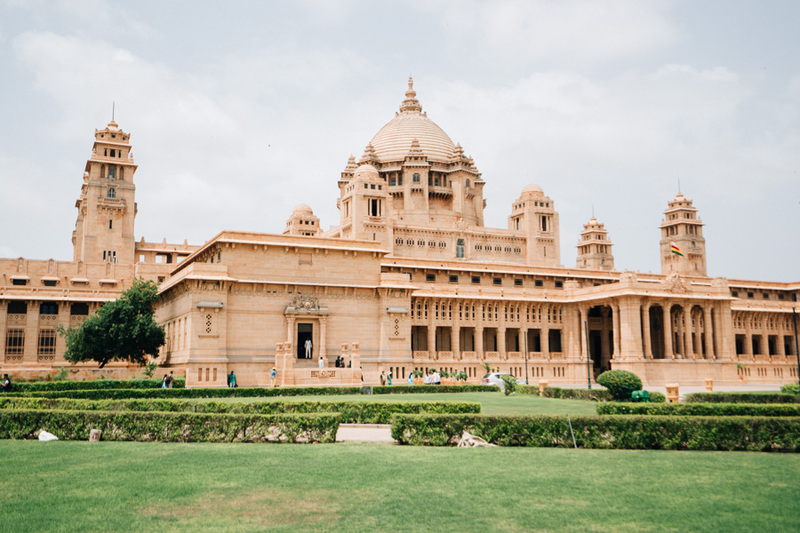 known to be Sun City, Jodhpur is an alluring destination in Rajasthan which got the name because of the sunny and bright days throughout the year. 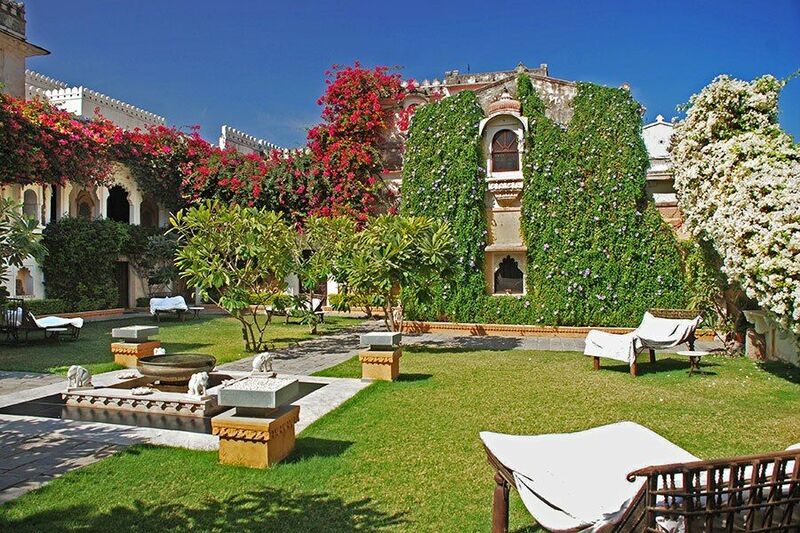 The princely city owes a great historical significance and was founded by Rao Jodha in the 15th century. 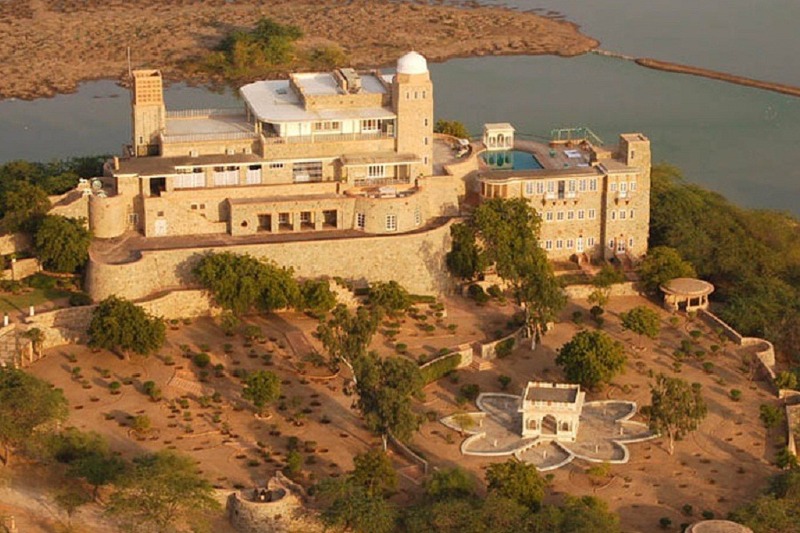 Once capital, Manwar this region is known for its exceptional beauty and splendid constructions, monuments, forts. Located on the border the Thar Desert this is an extraordinary place which has many worldwide magnificent architectural pieces. 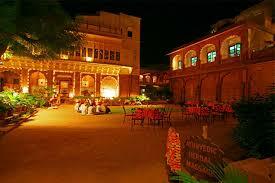 People with a plan to have a great time in a different location can spend quality time in the opulent city Jodhpur. The majestic city has a romantic ambience and the people here are always busy with the colorful festivals, marvelous fairs, and cultural celebrations. Apart from the outstanding celebrations one must step in the city and explore the architectural style and unique patterns of the glittering and elegant constructions. 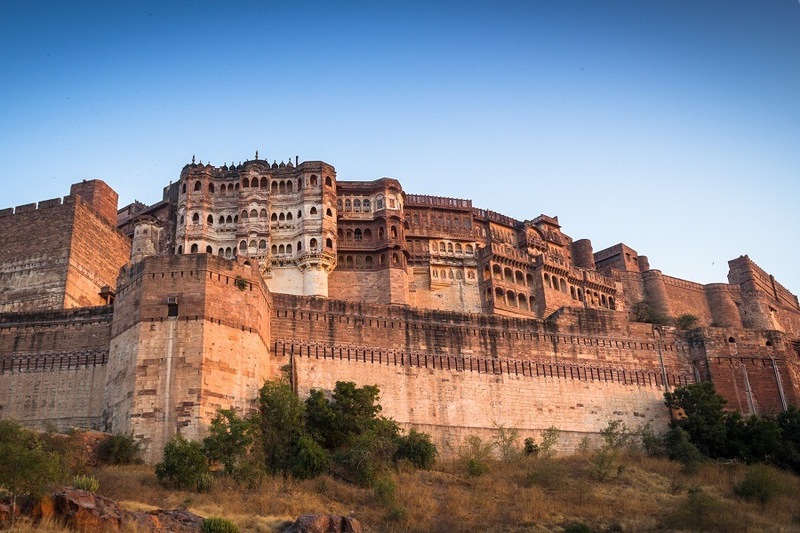 Mehrangarh Fort Outer View Perched on a 150 m high hill its sprawl is the most formidable and magnificent fort in Rajasthan. 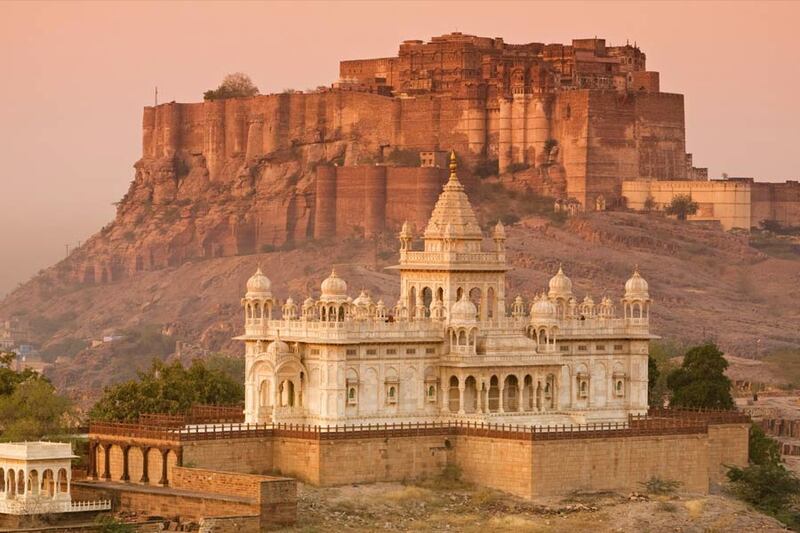 Rao Jodha founded it in 1459 but subsequent rulers of Jodhpur have also added to it over the centuries. A meandering road leads to the from the city 5 kms below. Battle scars of canon ball hit by attacking armies of Jaipur can still be seen on the second gate. To the left is chhatri of Kirat Singh Soda, a soldier who fell on the spot while defending the fort against the armies of Amber. There are seven gates, which include Jayapol meaning victory built by Maharaja Man Singh to commemorate his victories over Jaipur and Bikaner armies. Mandore Garden View 1Mandore was the former capital of Maharajas of Marwar and is located about 5 miles north of Jodhpur but was later abandoned for the security of Mehrangarh fort. Here you will find the dewals or cenotaphs of Jodhpur's former rulers. Clock Tower and Sardar Market: A prime attraction of the city, is the Clock Tower and the colourful Sardar Market near it. Narrow alleys lead to quaint bazaars selling textiles, antiques, silverware and handicrafts.